Beazer Homes USA, Inc. (NYSE:BZH) was in 19 hedge funds’ portfolio at the end of September. Beazer Homes USA, Inc. (NYSE:BZH) shareholders have witnessed an increase in support from the world’s most elite money managers of late. There were 18 hedge funds in our database with Beazer Homes USA, Inc. (NYSE:BZH) holdings at the end of the previous quarter. At the end of this article, we will also compare Beazer Homes USA, Inc. (NYSE:BZH) to other stocks including Preferred Bank (NASDAQ:PFBC), YRC Worldwide, Inc. (NASDAQ:YRCW), and Eclipse Resources Corp (NYSE:ECR) to get a better sense of its popularity. Today there are a lot of metrics shareholders can use to evaluate publicly traded companies. Two of the less utilized metrics are hedge fund and insider trading signals. Our research have shown that, historically, those who follow the best picks of the top investment managers can outperform the market by a very impressive margin (see the details here). Now, let’s check out the key action encompassing Beazer Homes USA, Inc. (NYSE:BZH). What have hedge funds been doing with Beazer Homes USA, Inc. (NYSE:BZH)? At the end of the third quarter, a total of 19 of the hedge funds tracked by Insider Monkey were bullish in this stock, an increase of 6% from one quarter earlier. With hedgies’ positions undergoing their usual ebb and flow, there exists an “upper tier” of key hedge fund managers who were upping their stakes meaningfully. Of the funds tracked by Insider Monkey, Thomas E. Claugus’ GMT Capital had the number one position in Beazer Homes USA, Inc. (NYSE:BZH), worth close to $26.9 million, corresponding to 0.7% of its total 13F portfolio. On GMT Capital’s heels is Citadel Investment Group, managed by Ken Griffin, which held a $18.2 million position; the fund has less than 0.1% of its 13F portfolio invested in the stock. Some other peers that are bullish contain David Warren’s DW Partners, Jim Simons’ Renaissance Technologies and Chuck Royce’s Royce & Associates. Consequently, some big names were leading the bulls’ herd. Buckingham Capital Management, managed by David Keidan, created the largest position in Beazer Homes USA, Inc. (NYSE:BZH). Buckingham Capital Management had $8.5 million invested in the company at the end of the quarter. Boaz Weinstein’s Saba Capital also made a $2.2 million investment in the stock during the quarter. 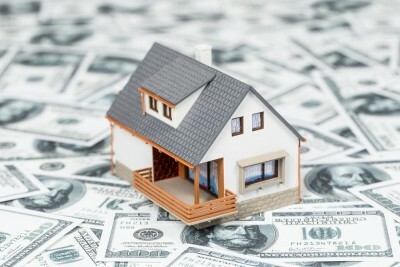 The following funds were also among the new Beazer Homes USA, Inc. (NYSE:BZH) investors: Chao Ku’s Nine Chapters Capital Management, Daniel S. Och’s OZ Management, and Cliff Asness’ AQR Capital Management. Let’s also examine hedge fund activity in other stocks similar to Beazer Homes USA, Inc. (NYSE:BZH). These stocks are Preferred Bank (NASDAQ:PFBC), YRC Worldwide, Inc. (NASDAQ:YRCW), Eclipse Resources Corp (NYSE:ECR), and SunCoke Energy Partners LP (NYSE:SXCP). All of these stocks’ market caps match Beazer Homes USA, Inc. (NYSE:BZH)’s market cap. As you can see these stocks had an average of 13 hedge funds with bullish positions and the average amount invested in these stocks was $75 million. YRC Worldwide, Inc. (NASDAQ:YRCW) is the most popular stock in this table. On the other hand SunCoke Energy Partners LP (NYSE:SXCP) is the least popular one with only 5 bullish hedge fund positions. Beazer Homes USA, Inc. (NYSE:BZH) is not the most popular stock in this group but hedge fund interest is still above average. This is a positive signal but we’d rather spend our time researching stocks that hedge funds are piling on. In this regard YRC Worldwide, Inc. (NASDAQ:YRCW) might be a better candidate to consider a long position.